"The Owen" reverse 1.5 story floor plan by Jay Jackson Builders, Inc! Located on a terrific lot backing to wooded greenspace! Main floor includes a large kitchen with nice center island and walk-in pantry, unique switchback staircase, open great room with beautiful fireplace, wonderful master suite with gorgeous bath and huge walk-in closet and a computer office! Lower level includes 2 bedrooms, each with their own bath, large recroom and a wet bar! Fantastic neighborhood amenities! Award winning Park Hill schools! 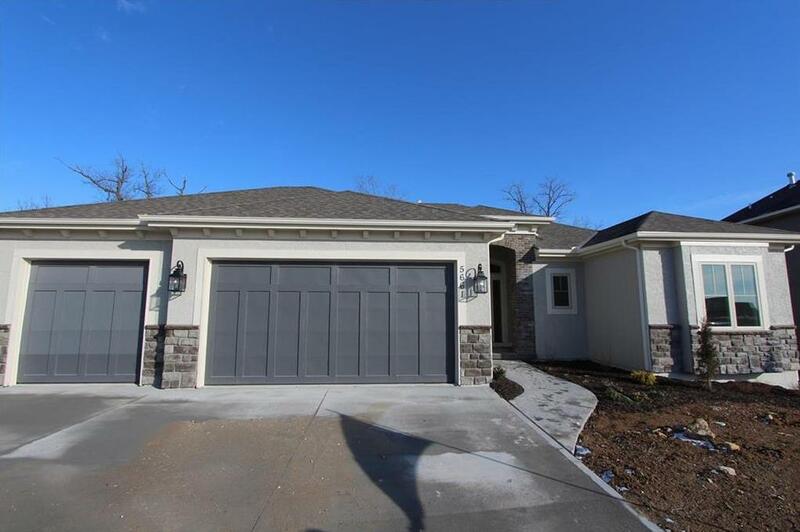 5661 Thousand Oaks Drive (MLS #2134128) is a traditional single family home located in Parkville, MO. This single family home is 2,645 sqft with 3 bedrooms and 3.5 baths. This property was listed on 10/11/2018 and has been priced for sale at $469,950.